Meeting people where they are – true to this motto, Arbeit und Leben is reaching out to urban districts and neighbourhoods. 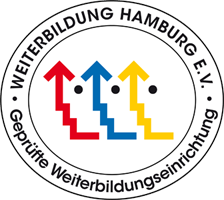 Within the context of urban development we support networking of education protagonists and develop qualification programmes for various target groups – in the East of district Hamburg-Mitte in particular. The focus is on people in the neighbourhood. We are encouraging their activities and new ideas to be put into practice locally.